From Mediaite: Senator John McCain is ripping into Michelle Bachmann, having taken to the Senate floor on Wednesday to defend a longtime aide to Sec. Hillary Clinton, Huma Abedin. Some members of Congress have accused her of having links to the Egyptian Islamist political movement, the Muslim Brotherhood. Reports Mediaite, “‘Recently, it has been alleged that Huma Abedin – a Muslim-American – is part of a nefarious conspiracy to harm the United States by unduly influencing U.S. foreign policy at the department of state in favor of the Muslim Brotherhood and other islamist causes,’ said McCain. 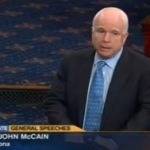 Without naming her in his Senate floor speech, Sen. McCain was defending Abedin from accusations levied by the Center for Security Policy and advanced by Rep. Michele Bachmann (R-MN), among others members of Congress, that the Muslim Brotherhood had infiltrated several U.S. government institutions.” Read more about Bachmann’s words and McCain’s response here. From Gossip Cop: More news regarding the tragic death of Sylvester Stallone’s son, Sage. Having passed away last week, questions of drug abuse have surfaced in the case. 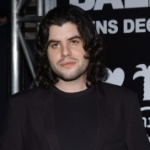 Reports Gossip Cop, “Multiple bags of ‘white powder’ were reportedly in the room where Sage Stallone was found dead on Friday. According to reports, investigators recovered ‘several little baggies in the bedroom,’ with the possibility raised that the powder could be cocaine or crushed pills, such as Vicodin. More than 60 large pill bottles, at least some containing a generic form of Vicodin, were also found in Stallone’s room, says TMZ… An autopsy conducted earlier this week was inconclusive, and the coroner is waiting for toxicology reports before declaring an official cause of death.” Follow their coverage here. 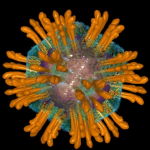 From Geekosystem: Has Hepatitis C met its match? It’s possible, as two University of Florida researches have been able to develop an artificial nanoparticle complex that was able to reduce hepatitis C virus (HCV) levels in cultured cells and mice by more than 99%. Reports Geekosystem, “The research team have endearingly called it a nanozyme, so we shall do the same. It’s special because it triggers no negative side effects and works like a spy-sniper superthing. Current treatments for hepatitis C use drugs that intervene with the HCV replication machinery. These are typically only 50% successful in helping patients, and have side effects — including flu-like symptoms, anemia, and anxiety — that vary from drug to drug. 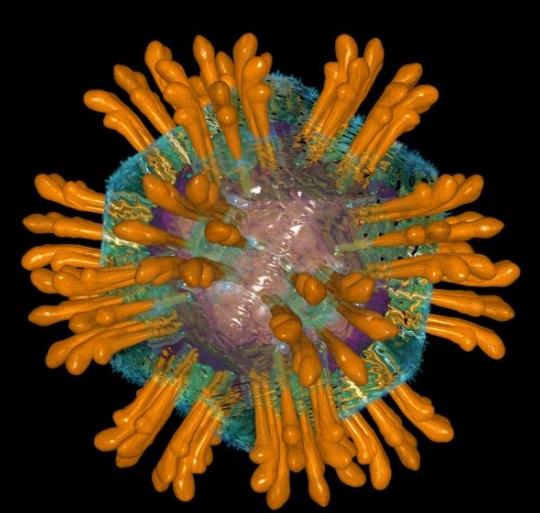 The research team designed the nanozyme to work on a similar principle, interfering with the HCV genetic material, but with a higher success rate and reduced side effects.” Read more about the project here. From Styleite: Following ongoing controversy about models, weight, and photoshop in the fashion world, Styleite loves Alber Elbaz’s approach to Lanvin’s fall campaign. 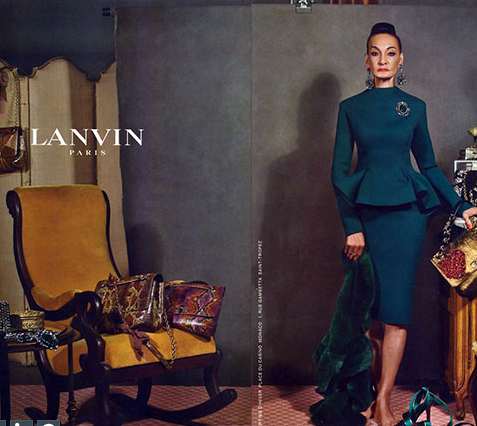 Reports Styleite, “The Lanvin designer cast a spread of real women and men between the ages of 18 and 80 for his fall campaign. And the ads are awesome. Elbaz explains to WWD: ‘I was interested to bring these clothes back to the street somehow, and seeing how they look on different ages, different sizes. It felt like a crazy family, and I like that.’ Steven Meisel photographed the ‘models’ in a messy apartment-like environment in New York where Elbaz learned each person’s backstory. Among the group is a waiter, milliner, and new U.S. immigrant…. The ads will drop in September issues, and a viral video is also in the works for release in August.” See the photos and read more here. From SportsGrid: Well, it’s happened. 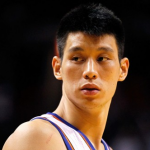 Jeremy Lin is no longer a Knick, and the Knicks are kind of a mess. Understandly, Knicks fans are kind of a mess, too. To make matters worse? 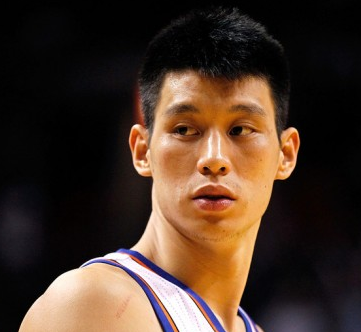 Lin wanted to be a Knick. Reports Sportsgrid, “After the Knicks officially declined to match the offer sheet he signed with the Houston Rockets, Jeremy Lin let everyone know how “excited and honored” he was to rejoin the team that cut him back in December. It could be that he truly is excited and honored. But based on what Lin himself told Sports Illustrated’s Pablo Torre shortly after his return to the Rockets became official, he would have been more excited to stay right where he was. Note: if you are a disgruntled Knicks fan, you might want to turn away now: ‘Honestly, I preferred New York. '” Read more about Lin’s SI interview here. From The Mary Sue: Pushing Daisies fans — hang tight! There may be new material headed your way! Reports The Mary Sue, “Bryan Fuller‘s been dropping hints of upcoming Pushing Daisies news for the past few months, and we have been clawing at our computer screens for just as long screaming ‘TELL US!’ The Pushing Daisies, Dead Like Me, and Mockingbird Lane producer swore it had nothing to do with a return of the cancelled-too-soon show to television, or of a jump to the big screen. So what does that leave? Broadway, apparently! Fuller revealed this little tidbit in a recent interview with TV-scooper extradordinaire Michael Ausiello while promoting his upcoming television reboot of Mockingbird Lane: ‘We’re working on something that is definitely a Pushing Daisiesrevival, and the idea would be to have as many cast [members] as we can to participate in it. '” So does that mean a musical?! Read more about the possibilities here. 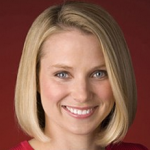 From The Jane Dough: It’s been an exciting week for women as Marissa Mayer was named Yahoo!’s new CEO. However, following all the praise she’s gotten for leading the foray of women into technology, The Jane Dough found it disappointing to hear her thoughts on feminism. Writes The Jane Dough’s Amy Tennery, “Yahoo’s new CEO Marissa Mayer told PBS’ Makersseries that she doesn’t consider herself a feminist. Of course, what she probably fails to recognize is that we would not be referring to her as ‘Yahoo’s new CEO’ right now if it weren’t for feminism. In the interview, Mayer says that she believes that ‘women are just as capable,’ and she believes ‘in equal rights’ but that she thinks feminism is a ‘more negative word.’ Of course, believing in ‘equal rights’ for men and women but not being a feminist is like being an atheist who thinks the theory of evolution is hogwash. Them things just don’t mix.” Read more of Amy’s opinion here. From The Braiser: An interview with the iconic Sandra Lee. Writes The Braiser, “It’s really easy to hate on Sandra Lee. As the host of Food Network’s Semi-Homemade Cooking, she basically teaches her fanbase how to slap together a bunch of processed foods in order to make a meal with minimal cooking (and minimal nutritional value). And, frankly, she made a disgusting and offensive Kwanzaa cake ten years ago that the likes of Anthony Bourdain are still laughing about, so, yeah. Oh, and we forgot tablescapes. On Semi-Homemade, Sandra decorates her dining tables with themed crafts called “tablescapes” that are semi-meant to semi-match the semi-meal you’re semi-cooking. Tablescapes. However. Sandra Lee is also pretty much the world’s best example of how a Food Network Star is born. Are you listening future FNS contestants?” Find out how, as well as her thoughts on processed foods, Cher, winning an Emmy and more here.